Simulations run in parallel using as many cores as possible. Simulation results are shown on-line, while the simulation process is on-going. 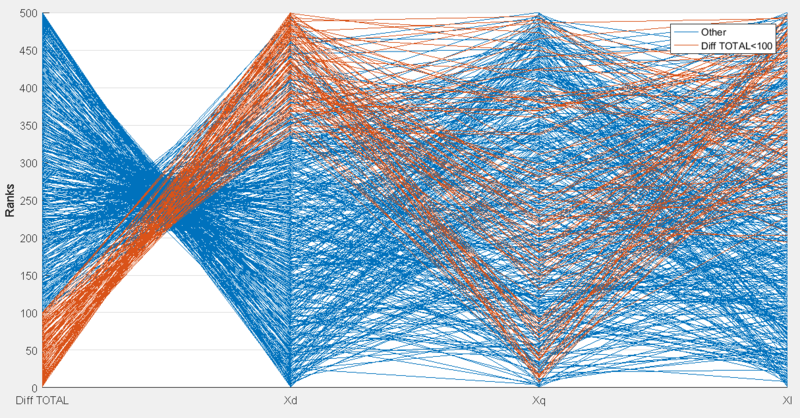 PAMSUITE includes a powerful environment based on Matlab® for the exploration and analysis of the results and the identification of the critical parameter values. All the EMTP simulation types are handled: steady-state, load-flow, transient and frequency scan. Generic formulation of Parametric and Optimization problems in PAMSUITE. Pj and Sj represents respectively the model parameters and the output signals. 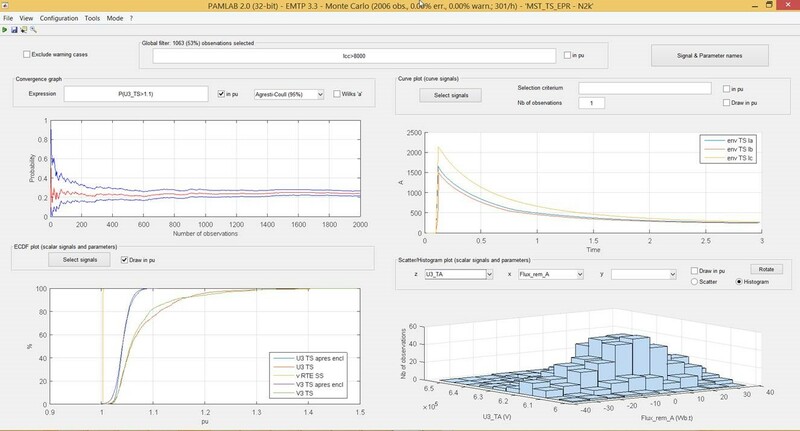 PAMSUITE is developed and intensively used by EDF® (the national French utility) for a large scope of parametric studies. In practical EMT studies, data uncertainty is frequent. Uncertainty can be due to the randomness of the physical phenomenon (lightning strike current amplitude, transformer residual flux, circuit-breaker pole closing span, fault location….) or due to the limited knowledge or the lack of data (transformer air-core reactance, generator reactances…). Dedicated post-processing tools are available to process a large amount of data. 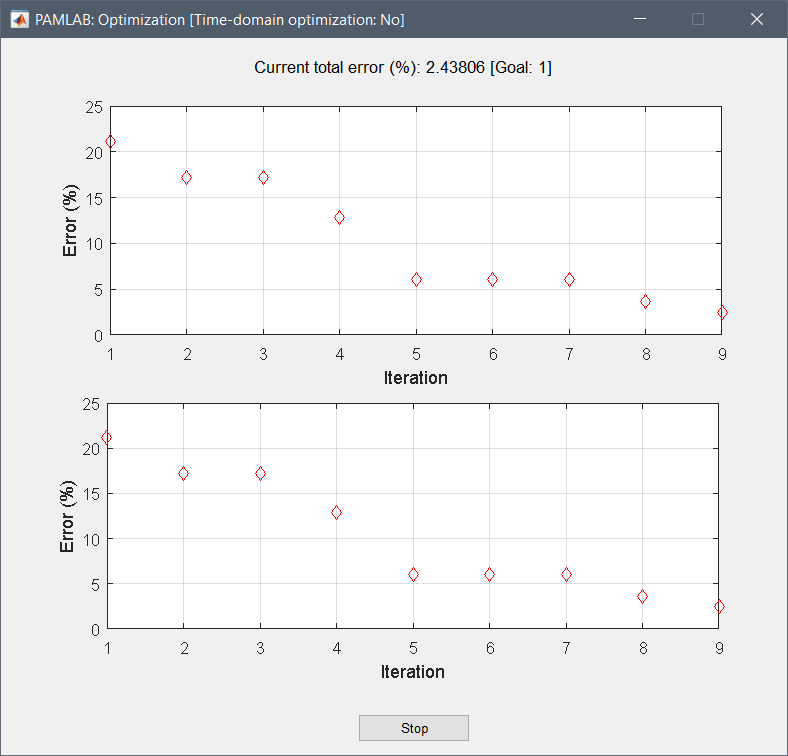 It is also possible to export results to Matlab® and Excel®. Example of Monte-Carlo analysis results (transformer energization study). The interval of confidence of a given output is calculated and displayed while the calculation is on-going. Sensitivity analysis is defined as the study of how uncertainty in the output of a model can be attributed to different sources of uncertainty in the model input. In the context of EMTP-RV and PAMSUITE, sensitivity analysis refers to understanding how the parameters of an EMTP model influence the simulation results. The so-called Morris and Sobol methods are implemented in PAMSUITE to determine, with a limited number of runs, what are the most influential parameters of a given model. Example of Morris Sensitivity analysis plot. The influence of parameters Sgen1 and Sgen2 on the results is limited. Multivariable optimization is offered to determine the values of parameter per objectives and criterions. The optimization algorithm is automatically selected according to optimizing signals to reduce calculation time. Parameters are not always fully meaningful. They sometimes just represent a knob to turn in a simplified model representation. Besides, parameter values are sometimes unknown or uncertain. Therefore, it is generally recommended to calibrate and validate a model before using it in an actual project. A good example is the recent recommendation of NERC (MOD 026 and 027) regarding the verification of models and data for synchronous generators. PAMSUITE includes a set of tools to quickly implement data-assimilation and calibration for arbitrary EMTP models. 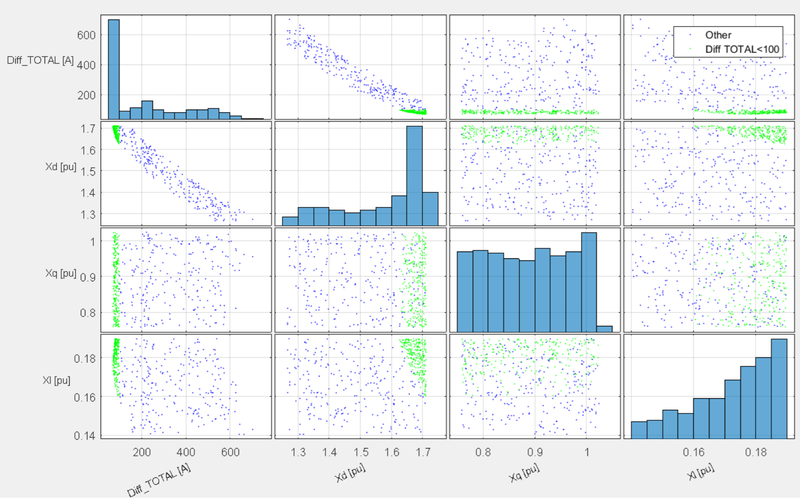 Model calibration - Scatter plot. Green points indicate the set of parameter values with the best match between simulation and measurements.